From Roman orchards to modern-day supermarkets, the humble cherry has enjoyed a long and fruitful history. Here are a few facts worth snacking on. 1. WE’VE BEEN EATING THEM SINCE THE STONE AGE. Archaeologists have discovered fossilized cherry pits in prehistoric caves throughout Europe and Asia. 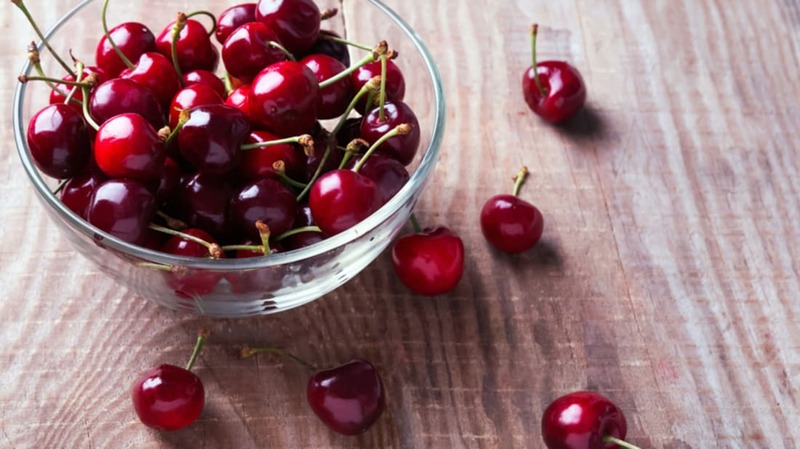 The earliest written mention of cherries comes from the Greek author Theophrastus, who inventoried the fruit in his History of Plants in 300 BCE. 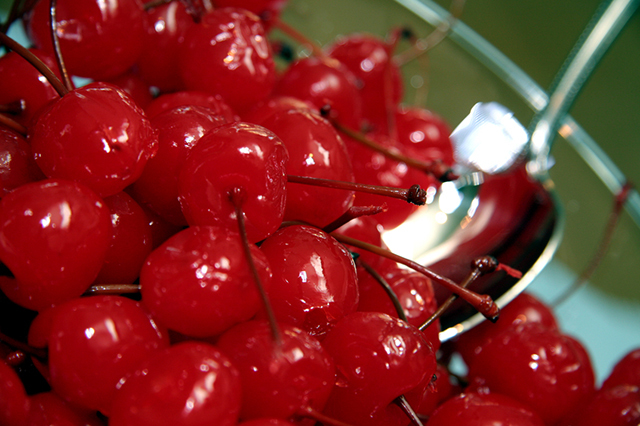 Around the same time, Diphilus of Siphnos, a Greek author and physician, wrote of cherries’ usefulness as a diuretic. 2. ROMAN SOLDIERS SPREAD THEM AROUND. Cherries were part of soldiers’ rations, and as they traveled, the pits they discarded became the trees that proliferated throughout the empire. There was a saying that to find the old Roman roads, all one had to do was follow the wild cherry trees. 3. 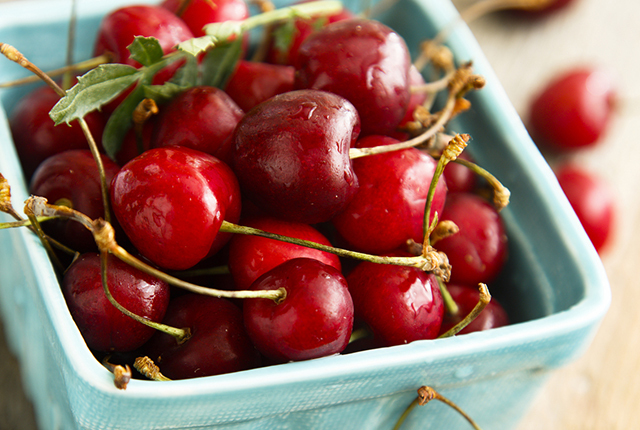 THE CHERRIES WE KNOW TODAY CAME TO AMERICA IN THE 1600S. When Europeans arrived with the cherries we know today in the 1600s, several varieties were already present in North America, including black cherries (Prunus serotina) and chokecherries (Prunus virginiana). Chokecherries were widely consumed on the Great Plains, especially as a critical ingredient in pemmican [PDF]. And while black cherries are today most associated with high-end furniture, they were traditionally used to make the American version of cherry bounce [PDF], a widely popular 18th and 19th century cordial that involved mixing crushed black cherries and an alcohol of choice, ranging from rum/brandy in New England to bourbon in Louisiana. 4. THERE ARE MORE THAN 1000 DIFFERENT VARIETIES. From Lamberts to Lapins to Rainers and Royal Anns, there are more than 500 varieties of sweet cherries, and almost as many tart ones. But only a small percentage—around 20 or so altogether—are used in commercial production. 5. TWO STATES DO MOST OF THE GROWING. 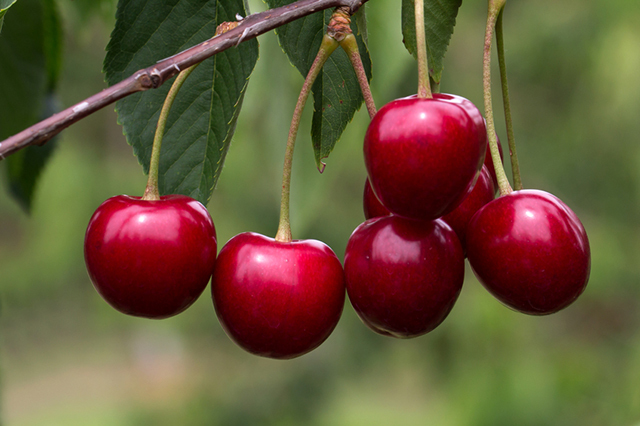 Washington grows an estimated 62 percent of the nation’s sweet cherries [PDF], the popular species that’s commonly eaten raw during the summertime. Along with Oregon and California, just these three states produce 94 percent of America’s sweet cherries. Michigan, meanwhile, grows well over half of the country’s tart cherries, which are mostly used for cooking. 6. 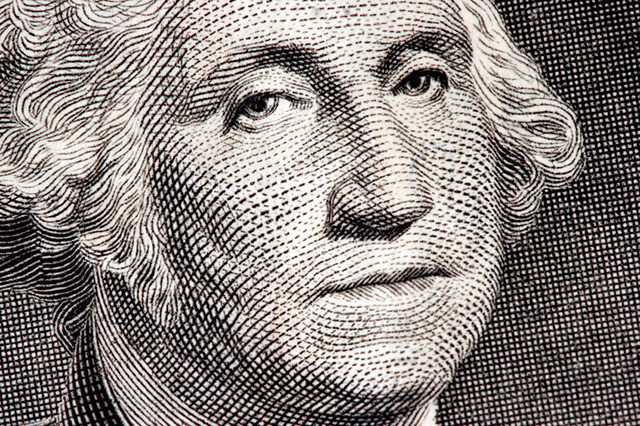 THAT STORY ABOUT GEORGE WASHINGTON AND THE CHERRY TREE? NOT TRUE. Countless Americans know the story: A young George Washington, gifted a hatchet by his father, chopped down a cherry tree. When confronted about the misdeed, he confessed, “I cannot tell a lie!” What many don’t realize is that this tale of honesty is, in fact, a lie. Washington’s first biographer, Mason Locke Weems, came up with the story for the fifth edition of The Life of Washington, which was enthusiastically received by a public desperate for details of the great general and president following his death in 1799. But oddly, Weems never claimed that the tree was cut down. He specifically said that the tree was “barked”—in other words, that Washington removed the tree’s bark with his hatchet. ("One day, in the garden where he often amused himself hacking his mother’s pea-sticks, he unluckily tried the edge of his hatchet on the body of a beautiful young English cherry-tree, which he barked so terribly, that I don’t believe the tree ever got the better of it," Weems wrote.) Only later did this story transform into Washington chopping the tree down. 7. ZACHARY TAYLOR HAD A VERY REAL ENCOUNTER WITH CHERRIES. In 1850, on a hot Fourth of July in Washington, Tyler paused after a long walk to enjoy a glass of milk and a bowl of cherries. Later that day, he developed severe stomach pains. His symptoms quickly deteriorated, and four days later, he was dead. Experts can only speculate as to the cause of Taylor’s demise, but many believe a microbe like Salmonella found in the cherries or in the milk he drank (encouraged, no doubt, by the poor sanitation in Washington at that time) was the culprit. 8. CHERRY HARVESTING IS AN INGENIOUS PROCESS. A typical cherry tree produces 7000 cherries. So what’s the fastest, most efficient way to harvest them? Many growers use a mechanical shaker, which grips the tree and rattles it hard enough to loosen the fruit, which falls onto a giant tarp that then feeds onto a conveyor belt. Check out this video to see the harvesting in action. 9. TURKEY IS THE WORLD’S LEADING PRODUCER. For a few years in the late ‘80s, the U.S. led the world in cherry production. But in 1990, Turkey claimed the title, and today it produces 535,000 tons annually to the U.S.’s 345,000. It’s appropriate, really, given the country’s fertile climate and the fact that cherries originated from Asia Minor, which includes modern-day Turkey. 10. THE WORD MAY HAVE GREEK ORIGINS. The word cherry has been attributed to the Greek town of Cerasus, which today is the city of Giresun, located in Turkey. It’s the place where cherries were first exported to Europe. But some historians think that the town itself was named after cherries, and prefer an Akkadian origin for the name. 11. BING CHERRIES ARE NOT NAMED FOR BING CROSBY. They’re named for an orchard foreman named Ah Bing, who together with cherry farmer Seth Lewelling developed the dark red varietal in the late 19th century near Milwaukee, Oregon. The story goes that Lewelling named the cherries in Bing’s honor after the foreman returned to China and was forbidden from returning under the Chinese Exclusion Act of 1882. 12. THE MARASCHINO CHERRY HAS A COMPLICATED HISTORY. The original Maraschino cherry was a Marasca cherry that was placed in an ocean water brine and then a liqueur made from the fruit’s juices, with ground up leaves and cherry pits added in for good measure. Developed in the 19th century, the Maraschino quickly became a hit in Europe. But Marasca cherries, which are native to Croatia, weren’t plentiful enough to keep up with demand, so producers began cutting corners. By the time Maraschinos made their way to America, most manufacturers were using flavor extracts and cheap cherries, and some were even soaking the cherries in harmful chemicals. In 1912, the Food and Drug Administration issued a statement outlining real versus “imitation” Maraschino cherries. Ten years later, an Oregon horticulturalist developed a brining technique that used calcium salts, sugar, and food coloring. It’s a technique that’s still used today—and one that just might make you reconsider putting that cherry on top. 13. THE WORLD RECORD FOR CHERRY-PIT SPITTING IS 93 FEET. Brian Krause, part of the Krause family cherry-pit spitting dynasty, set the record at an annual contest in Eau Claire, Michigan in 2004. That same day, Krause spat a pit more than 100 feet in the freestyle competition, which allows for a running start.